As it is, keeping your carpet regularly clean is hard enough work. Having pets around make it more than doubly so. In fact if you have pets, carpet manufacturers recommend that you have your carpet professionally cleaned every 8 to 12 months, or sooner if necessary. 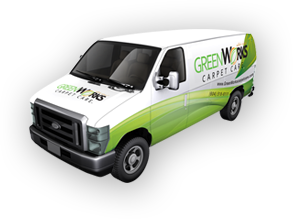 Carpet cleaning North Vancouver-based GreenWorks Carpet Care in particular can help you get rid of those stubborn and unsightly stains and embarrassing smells caused from your pets or very young children. If you have pets, vacuuming at least three times a week will keep your carpet fresh and clean longer. Pet hair can accumulate and when they do, they can clog your vacuum cleaner. If you haven’t vacuumed in a relatively long while, you therefore have to remove the accumulated hair first manually. Wrap masking tape around an old paint roller and attach it to an old broom or mop handle. Use this to pick up pet hair before you vacuum. You can also rake your carpet with a rubber-bristled carpet rake. Once you have the hair in clumps, pick them up hair by hand before vacuuming. Another method for removing pet hair from your carpet is to use a solution made of one part fabric conditioner and three parts water. Spray this solution lightly on the carpet, let dry, then vacuum. Wrap masking tape around an old paint roller and attach it to an old broom or mop handle. Use this to pick up pet hair before you vacuum. For feces or vomit, don’t use rags or paper towels to scoop or mop them up. Doing so could push the particles further and deeper into the carpet fabrics. Instead, scrape them up first with a putty knife into a dustpan. Then saturate the stain with a commercially available oxygenated bio-enzymatic cleaner. Let dry before vacuuming. For urine, use paper towel to blot out the excess liquid. Place around 20 paper towels on top of the area using paper weights to help absorb the remaining moisture. Change the paper towels periodically until the carpet area is fully dried. Finish off with a commercial urine-specific enzyme cleaning solution. Popular home remedies which use vinegar and/or baking soda often just mask the odor for a short time and do not work to eliminate the cause of the smell. Health-wise, it may be better to just buy a product developed specifically for the type of mess your pet made. Homeowners with pets should at some point really have to get professional carpet cleaning help. After a year, no amount of regular cleaning on your part will keep your carpet from looking and smelling old and soiled. Urine and other waste liquids that have already seeped deep into the carpet will over time crystallize and become even more pungent. No matter how well your pets have been toilet-trained, accidents and incontinence can and do happen. To save your expensive carpet flooring from having to be totally replaced, it may be a good idea to consult first with a professional carpet cleaning company. At GreenWorks Carpet Care, we use proven carpet cleaning techniques that not only get rid of the smell but also leaves a pleasant citrusy fresh tang long after we’re through.